Drive Medical has produced these six different Front Riggings' Packages that fit one of the four types of Sentra Bariatric Wheelchairs. 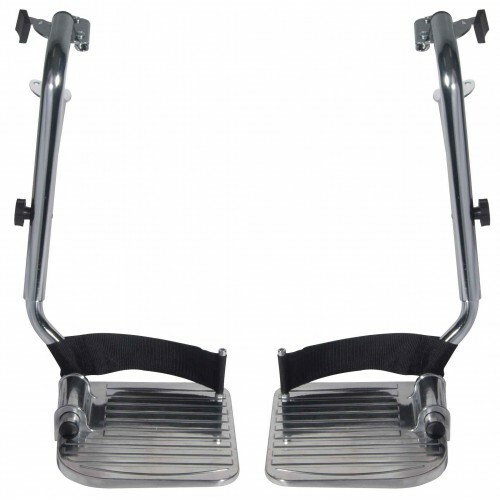 Available in crack-proof and lightweight aluminum, or hard plastic; the footplates are long lasting and extraordinarily durable. For each chair model, front riggings with Black Padded Calf Pads are available for extra comfort on the back of the legs. Each chair has available Standard or Padded Front Riggings. Use the table below to match your wheelchair to the foot riggings that fit.